Top 100 Indian scholars will receive full Malaysian scholarships if they secure first-class honors in their respective discipline in order to pursue their post-graduate studies in Malaysian colleges and universities. The students will receive about RM 15,000 via the Malaysian Indian Student Berhard Foundation. Also new schools will be built for the local Indian community. No doubt, the Malaysian government does say that these are not empty promises to win over votes, but genuine efforts being made by the Government to improve the condition of local Indians. The construction of 6 Tamil schools has been sanctioned. Efforts are on to improve primary education facilities by constructing a four storey building for a primary school in Tamang buildings to house the primary going school children. This policy decision of the Government would be most welcome by Indian scholars, whether in Malaysia or elsewhere. The Malaysian Government wants to attract the best brains to undertake higher studies in their country. Students pursue higher studies in Science and Engineering, Fisheries and Agriculture and so forth. Obviously, the disciplines are highly challenging and do require students who can contribute well academically. 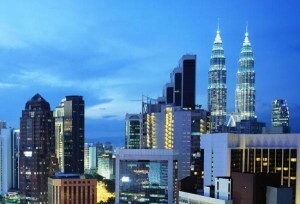 Malaysia has well established colleges and universities and offers a wide range of courses in challenging fields.